Kyoto-based artist Teppei Kaneuji (born 1978, Japan) began experimenting with found objects while studying in London. He continues to use mass-produced consumer goods in his sculptures. Kaneuji transforms everyday materials into bizarre, fantastical configurations. In White Discharge (Built-up Objects #40), found materials are piled on top of one another on a barbeque grill. 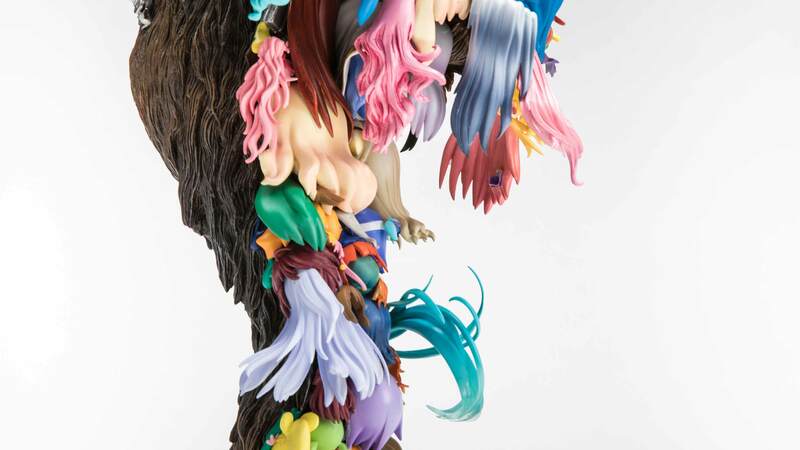 Kaneuji unifies their bright, discordant colors under a flow of dripping white resin. 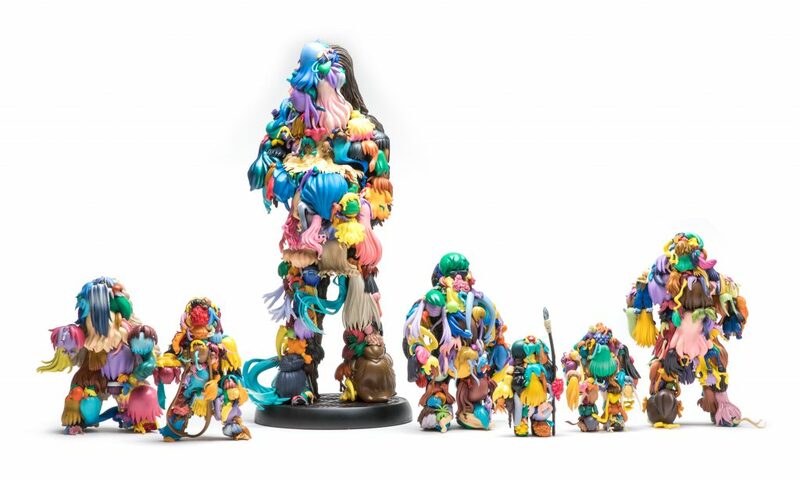 In Teenage Fan Club (#66–72), plastic rainbow-colored hair pieces from action figures are reassembled into monstrous forms. The artist’s inspiration came from watching a crowd of people swaying at a concert. 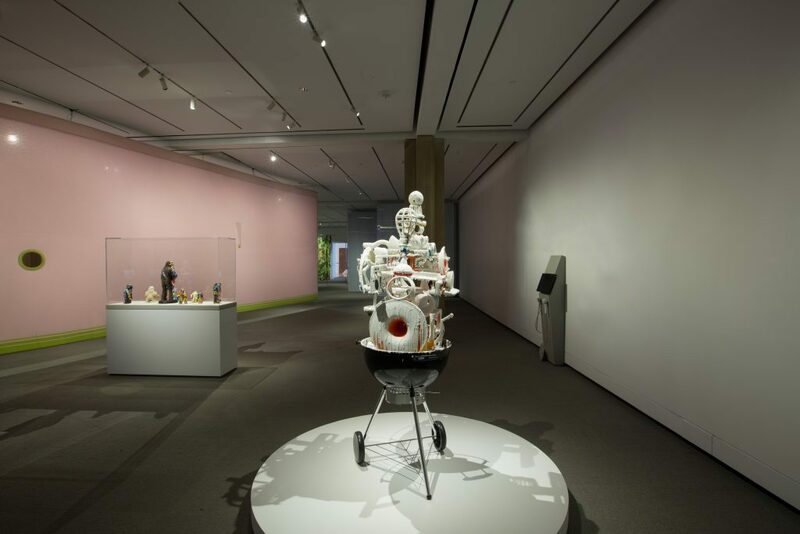 Through stacking, piling, and manipulating mass-produced objects, Kaneuji explores the culture of mass consumption prevalent in contemporary Japan and the United States. 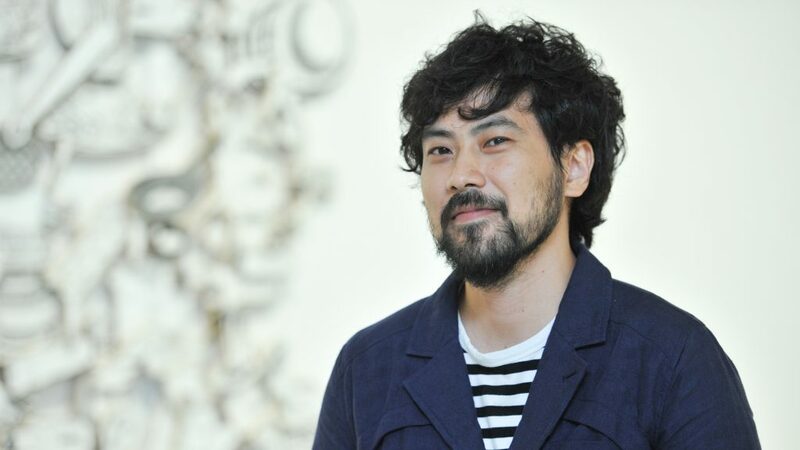 PlayTime curator Trevor Smith describes how Teppei Kaneuji’s artistic process is like playing jazz. Read the transcript. Teppei Kaneuji on finding inspiration in the unlikeliest of places and the importance of feeling “naughty” when making art. Read the transcript.